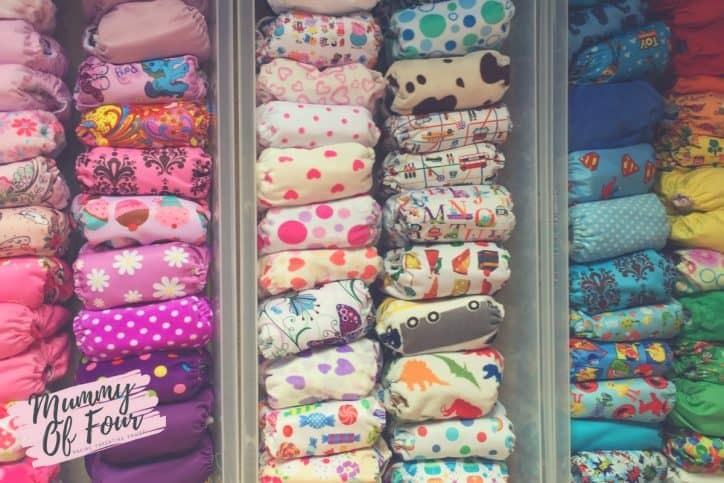 If you have ever considered trying cloth nappies with your baby, you might be wondering where to start. Initially it can seem rather overwhelming. There are so many options; which type should I use? Do I want sized nappy? What does birth to potty really mean? What is a pocket nappy? 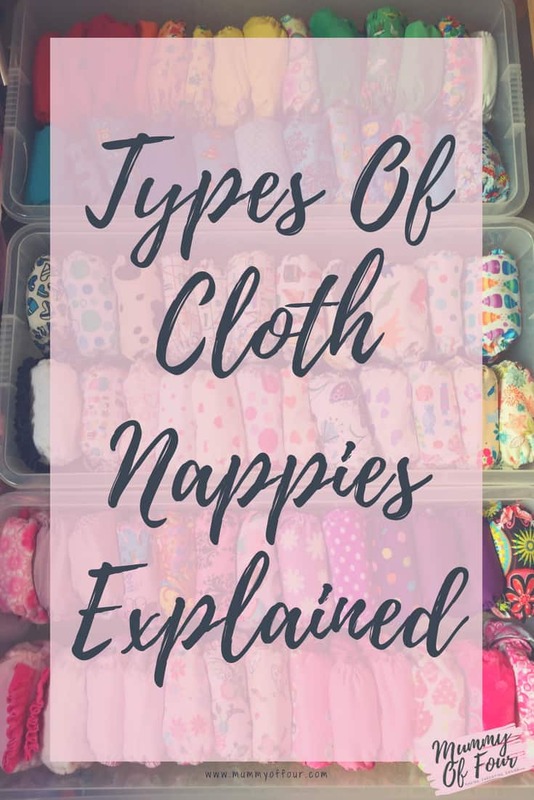 In this post I will explain all the different types of nappies, the features and benefits of each, and leave you with the information that you need to choose the best nappies for your baby. I will explain the terminology and clear up some of the mystery and confusion concerning reusable nappies. Which Size Am I Supposed To Buy? 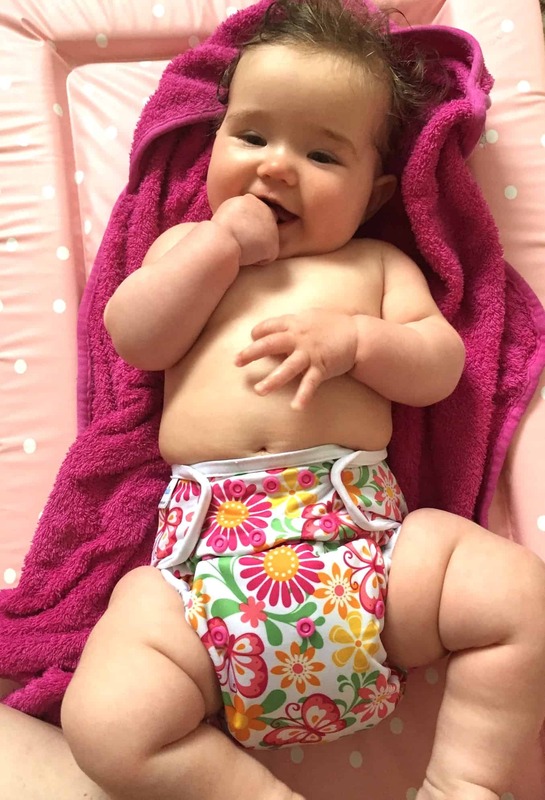 When it comes to sizing, there are two main options; sized nappies of birth to potty nappies. Sized nappies are as their name suggest and are sized to fit your baby at their particular age. They generally come in 3 sizes. 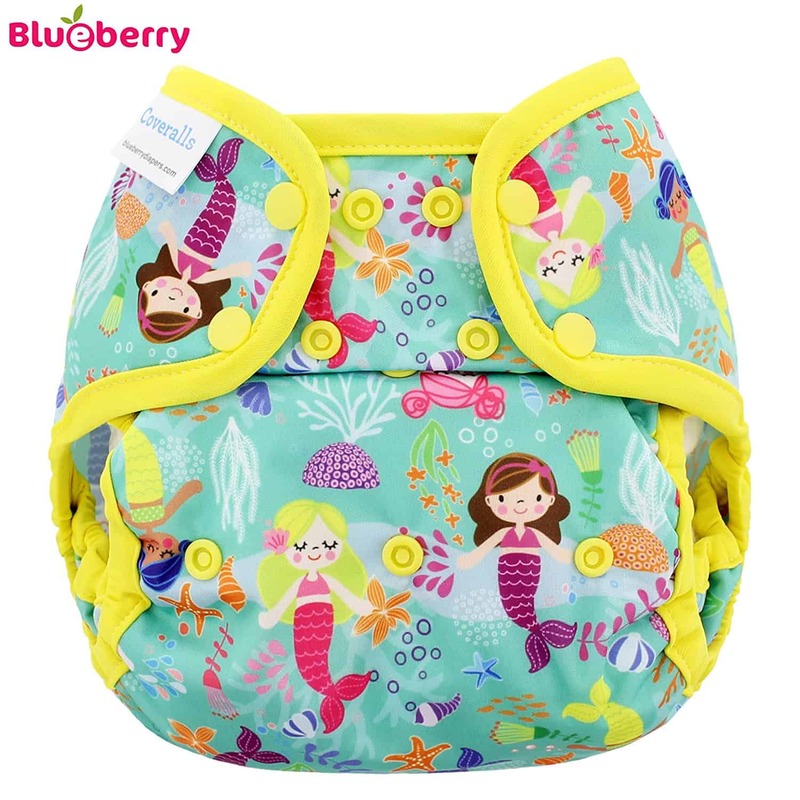 Each brand is different, but generally there is size 1 (for newborns and small babies) then size 2 and size 3 to take your baby to potty training size. 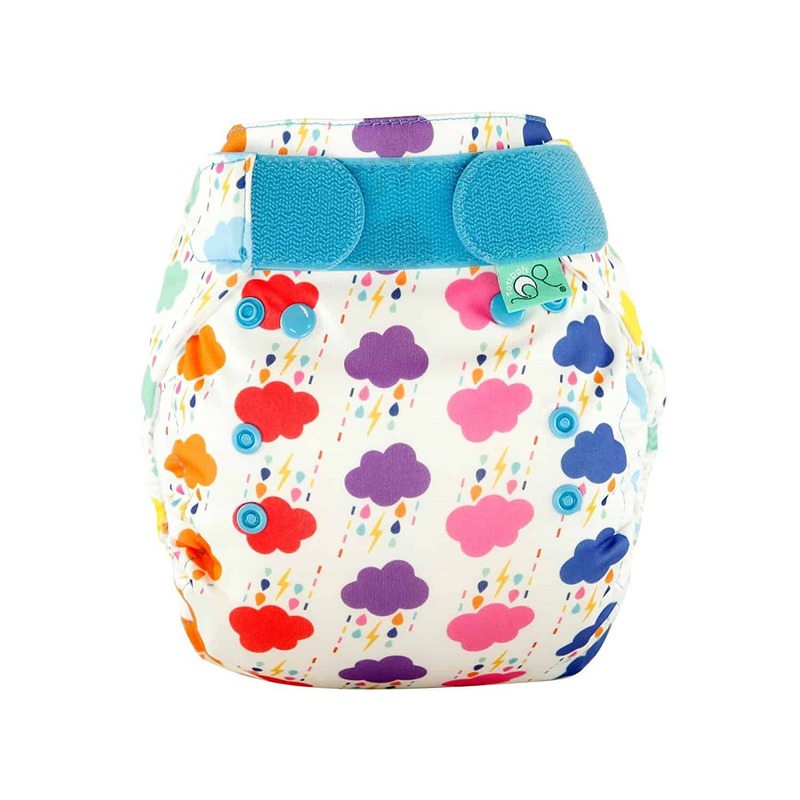 Each nappy will fit babies of a specific weight range. 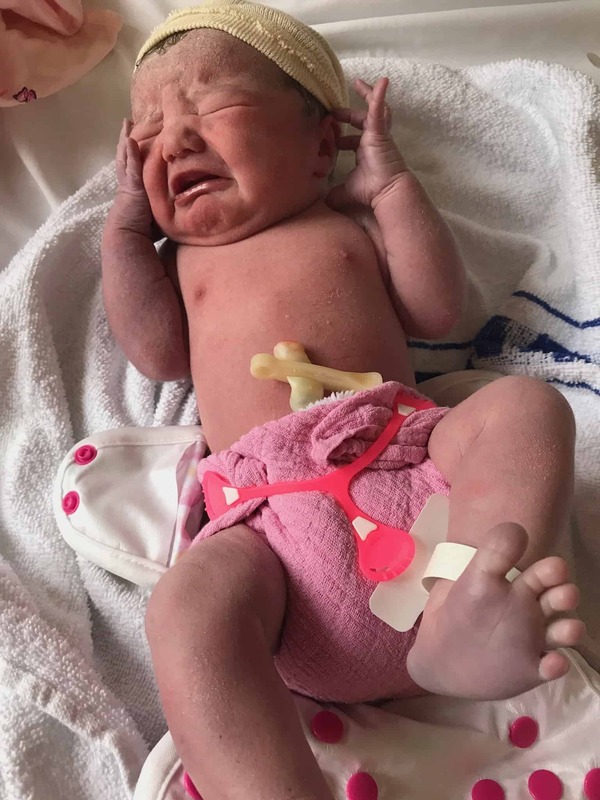 Birth to potty nappies are one nappies designed to take your baby from around 8 to £10 pounds in weight up until around age two when it’s time for potty training. 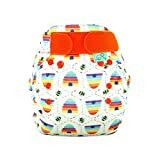 The nappies popper down with either two or three poppers along the front of the nappy to make another one nappy smaller for your baby when they are very new. 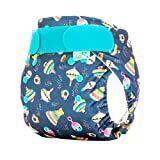 The obvious benefit of this type of nappy is that it is an economical option to take your baby through most of their nappy wearing life. The main problem with these would be that very few newborn babies are ready to go directly into them, she would either have to use disposable or newborn/size 1 nappy when they are first born. What Are All Of The Different Types Of Nappy? 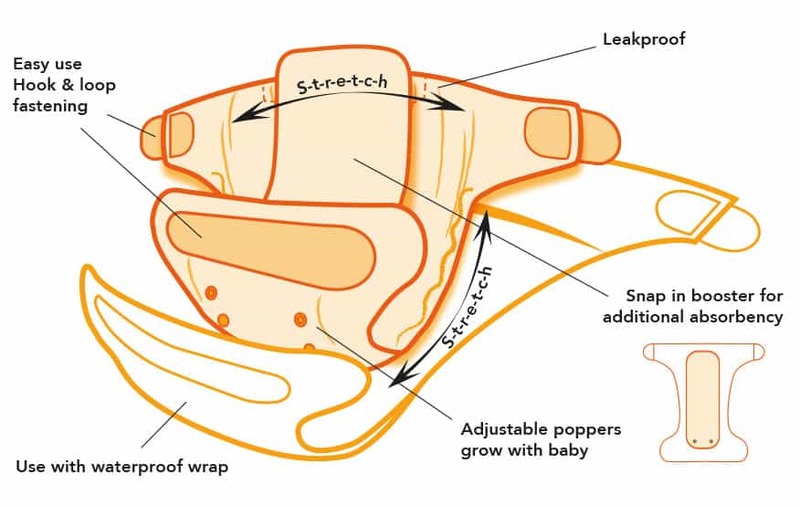 Shaped nappies come under the first category of sized nappies. Very easy to use, no faffing or stuffing required. They are mostly mostly come in two parts. The nappy is shaped exactly as a disposable nappy would be any quite simply pop in a liner and put it straight on to your baby. The shaped nappies are made of entirely absorbent material and then usually a touch take fastening. 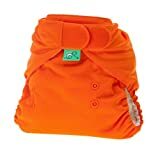 Shaped nappies require a waterproof cover to stop the wet getting through to your baby’s clothing. I love the TotsBots Bamboozle nappies. 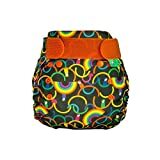 They are shaped and sized, although their size 2 is versatile enough to cover the best part of birth to potty as it also incorporates poppers so will fit a baby from 8-10 pounds up until they weigh around 35 pounds. 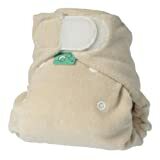 Nappy covers or wraps are the waterproof top layer that covers the sized nappy. 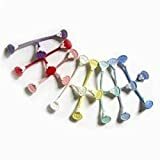 These can be fastened with either poppers or hook & loop (also known as Velcro) and come in either sized or birth to potty option. 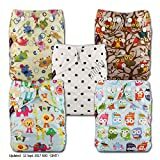 They can be used to cover sized shaped nappies plus other types of nappies such as prefolds too (see below for more information). Personally, I like the popper fastenings. The poppers are slightly more toddler proof than the hook and loop, when they inevitably reach that “oh so fun” stage where they want to take their nappy off themselves. The velcro can also get stuck to other fabrics in the washing machine, meaning that the fabric on our other nappies may end up damaged. If you want to go to go for the velcro option, make sure that you choose a nappy with laundry tabs. This will make it nice and easy to stick the tabs down before washing to prevent the velcro running everything in your wash.
Another good feature to look or in your wrap is a double gusset at the leg which offers extra containment. My go to wraps for night times have traditionally been Blueberry Diaper Covers. They have the double gusset, come in popper or velcro options and very importantly, they come in beautiful patterns. Unfortunately, they are not in plentiful supply in the UK, so getting hold of patterns that you want can be hit and miss. Since I last bought cloth nappies, TotBots who make the shaped Bamboozle nappies that I use for night time, have brought out their new Peenut Wrap. 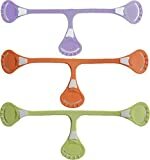 I have heard good things about them and they come in a wide variety of lovely colours and patterns. If I needed any new wraps now (which I absolutely do not, I have WAY too many), I would probably be purchasing some of these. 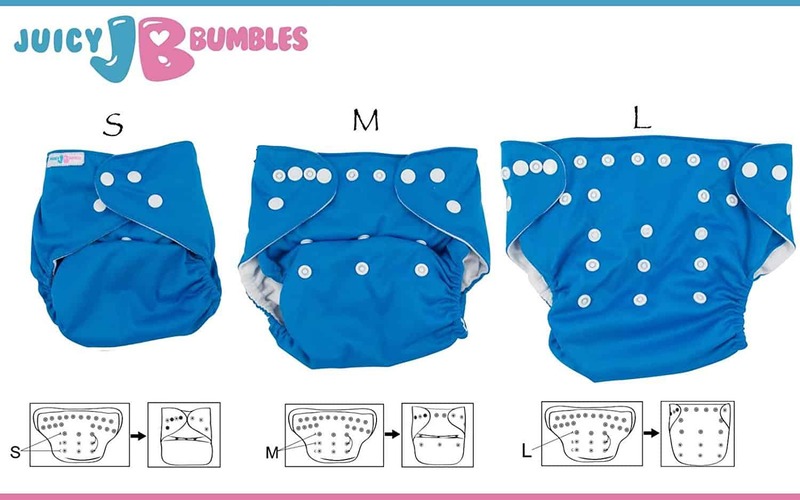 The two part system simply means the absorbent bit plus nappy cover. The can mean inserts that go with the cover like in the TotBots complete Peenut System, or a cover and a shaped nappy like the TotsBots Bamboozle. 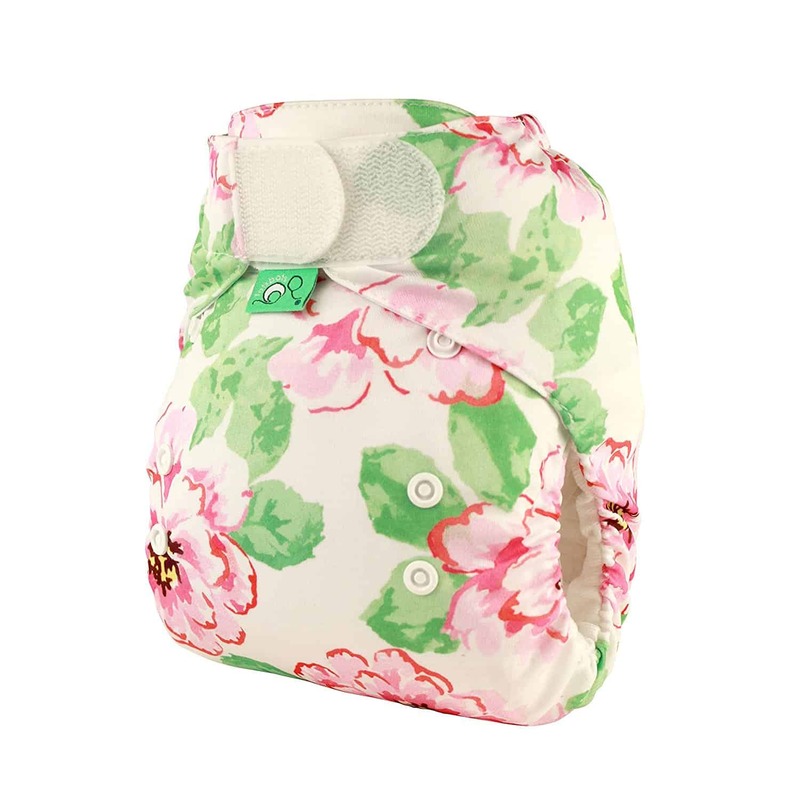 The wrap plus shaped nappy is what I would refer to as a bombproof option. As the entirety of the shaped nappy is absorbent it is able to hold loads of liquid. The addition of the nappy wrap cover, especially if you go for double gusset leg option means containment is excellent. This would be my recommended nighttime option. 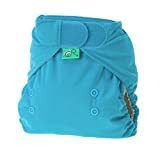 The two part nappies are a little bulky of the day time, but just ideal for overnight. Pocket nappies are my go to daytime nappy. 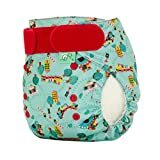 A pocket nappy has generally had a pretty patterns outer layer made of either Minkey (soft fluffy fabric) or PUL (smooth shiny fabric). Below that if the water proof layer. 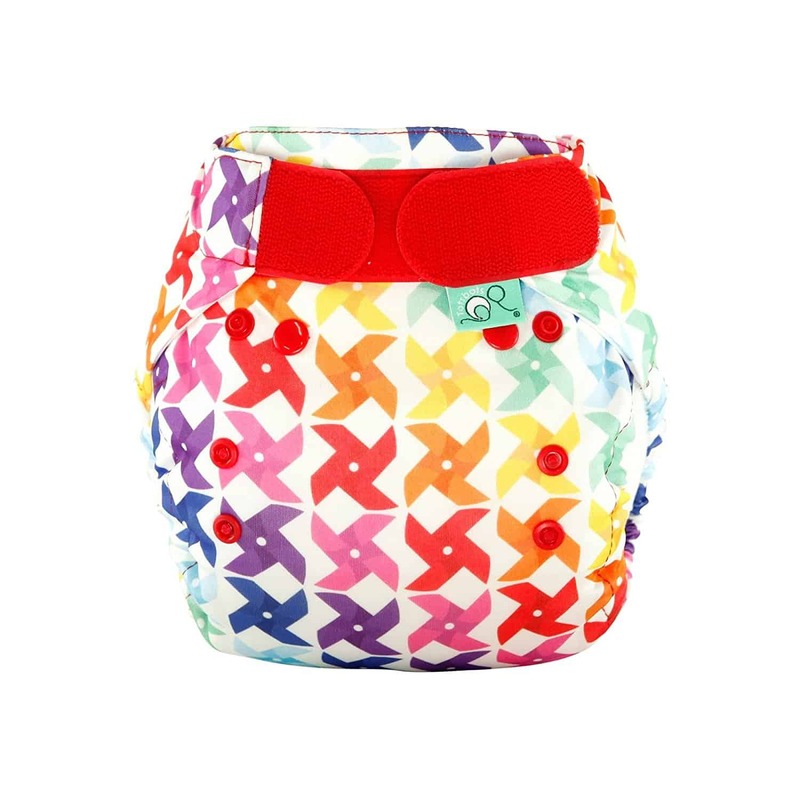 The pocket nappy itself is made out of a non-absorbent fabric. 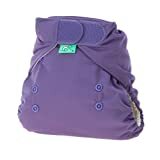 The pocket nappy is so called because of the into which you can stuff the absorbent core of your choosing. 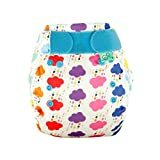 You can choose what you wish to suff with meaning you can stuff it with less for a smaller baby that doesn’t wee much, adding more boosters for a baby that is a heavy wetter. 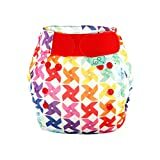 Once assembled, these nappies are easy to grab and go during the day and come in such beautifully pretty designs. 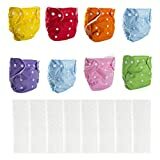 I have loads of them, way more than I need to have a bit of a cloth nappy addiction problem) I would recommend pre stuff them so they are ready to grab and throw in your bag and go, that way nappy changes I just easy as when using a disposable. The downside of this is you will need to sit and stuff a basket of nappies in one sitting, but I find this is not too much and offensive task if I couple that with my favourite TV show and a glass of wine. 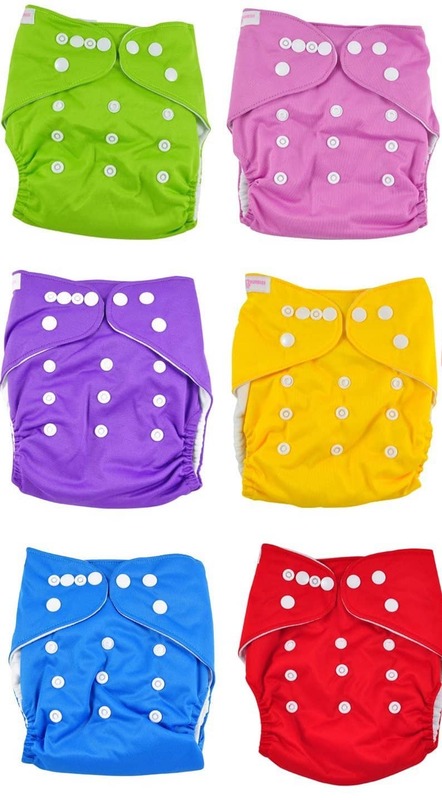 The plus side of these nappies as they are not too bulky so ideal for daytime wearing. 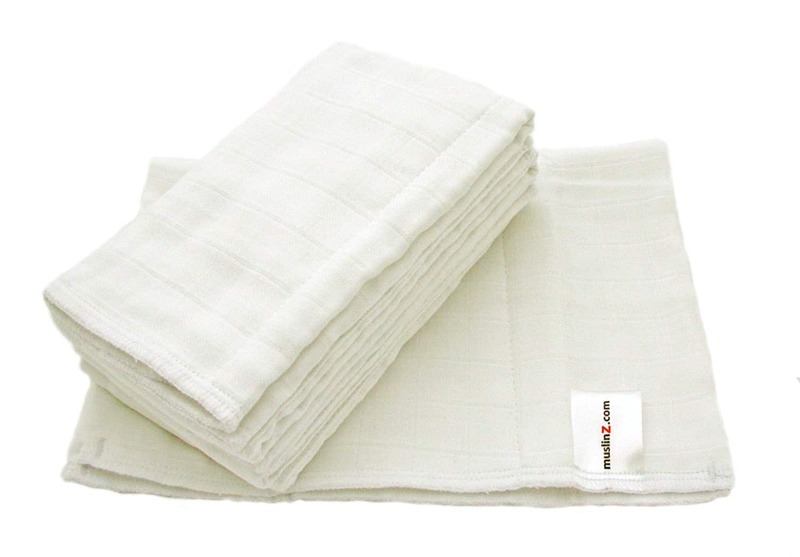 We are would not recommend them for nighttime wearing their absorbency limit is generally around the 2 to 4 hour mark. This is not a problem for daytime wear as that is the sort of frequency I would change my babies during the day anyway. 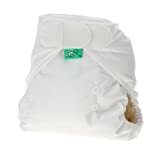 If your baby ever reaches the holy grail of sleeping through the night you are going to need a more robust nappy like shaped nappy and nappy wrap to see them through the 12 hours of sleep. An All In One Nappy does exactly what it says on the tin. Everything you need for that nappy is all in one piece. It’s basically grab and go. 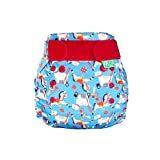 It is a bit like a pocket nappy that with the insert required but with the inset that you need to step into the pocket attached to a nappy itself. All in two nappies are a bit like the all in one ones when poppered together, but the pieces can separate into two pieces in order to wash and dry. Prefold nappies are more like the traditional nappies that your Nana would remember. 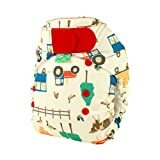 They are pieces of absorbent fabric can be folded into a configurations of your choosing and covered with a waterproof nappy cover. 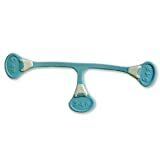 The nappy no longer needs to be held together by big dangerous nappy pins like in days of your, thanks to little devices such as Nappy Nippas. Join me next week when we will be talking about liners inserts and boosters, what on earth they are, why you need them, what the difference are between them and which ones you need. 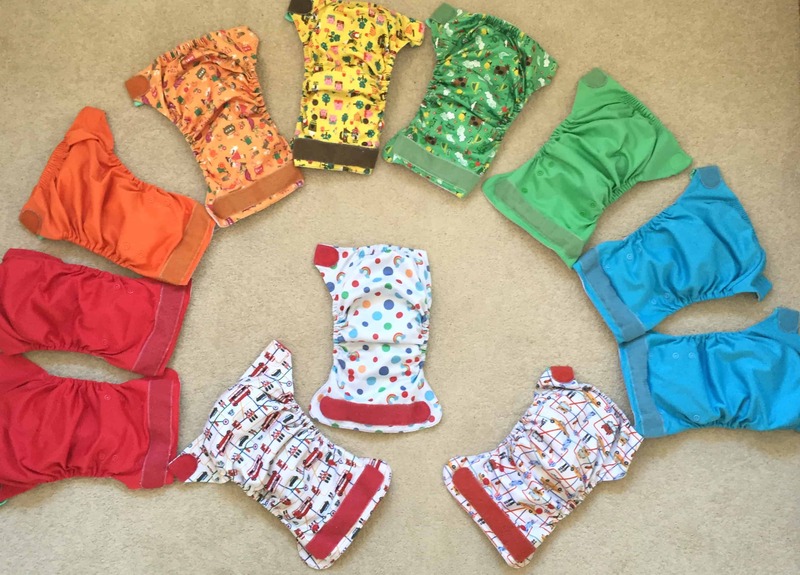 Have you ever used cloth nappies for your babies? Or are you considering make sure making the switch to class? Let me know in the comments below or head over to my social media channels and let me know that. Also please free feel free to get in touch if you have any questions about cloth bumming your baby. What a useful post, thank you! 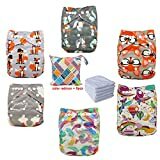 I have been using pocket nappies since week 1 (and we’re now at 11 months). These used to hold up about 2-4 hours as you mentioned, but now DD has flooding as she holds her wee in and lets it all loose in one go. The nappy just can’t deal with that, or I’d have to triple stuff it which would prevent her from moving around. Hoping to try shaped with a cover to see if that will help! At night I put her in a disposable, as she sleeps 10 hours at a time (finally……. ).